When Dr. Benjamin Carson High School of Science and Medicine was opened and then dedicated seven years ago – with Carson in attendance – he was the director of pediatric neurosurgery at Johns Hopkins Children’s Center. But Carson then ran for president and then became President Trump’s secretary of Department of Housing and Urban Development. That irked some school board members, according to The Washington Post. Carson graduated from Detroit’s Southwest High School in 1969. “It is synonymous with having Trump’s name on our school in blackface,” school board member Lamar Lemmons told The Post. 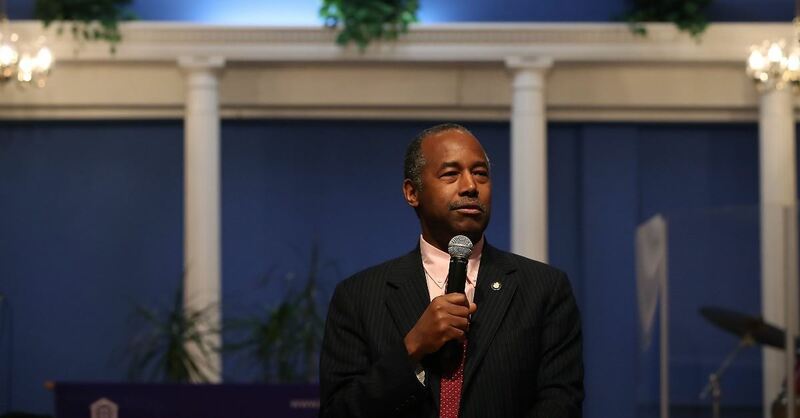 Carson “is doing Trump’s bidding, and he has adversely affected the African American community in Detroit as well as the nation with his housing policies,” Lemmons said. "And he’s allied himself with a president that says he is a white nationalist and sends dog whistles that even the deaf can hear,” Lemmons added. There is widespread support, Lemmons said, for changing the name. He said he regularly gets letters from citizens about the issue.